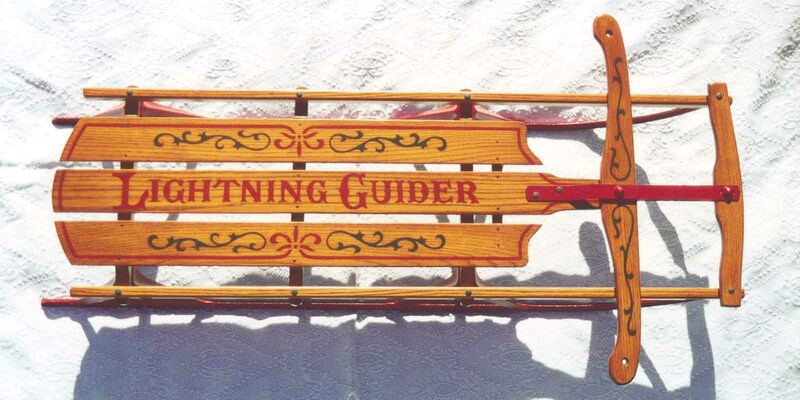 This page contains Lightning Guiders, see Slopes 1 and 3 for Flexible Flyers and other sleds. LG 22 1/2 (1920's?) - This was my very first restoration project. It was purchased at an antique store for $4.00. All the wood has been replaced and the graphics replaced. LG 123 1/2 (1930's?) - Completely restored using all the original wood. Note the all wood front and side rails. The graphics have been recreated. It was purchased at an auction. LG 125 (1950's?) - This is a current restoration project. Green lettering and red lightning bolts. LG 125 (1950's?) - Partially restored, graphics recreated. LG 123 1/2 (1950's) - Completely restored, this was a gift to my older son. LG 123 1/2 (1950's?) - Completely restored. All new wood and graphics recreated. This sled was restored for a friend as a gift to his daughter. LG 122 (1960's) - Original condition. 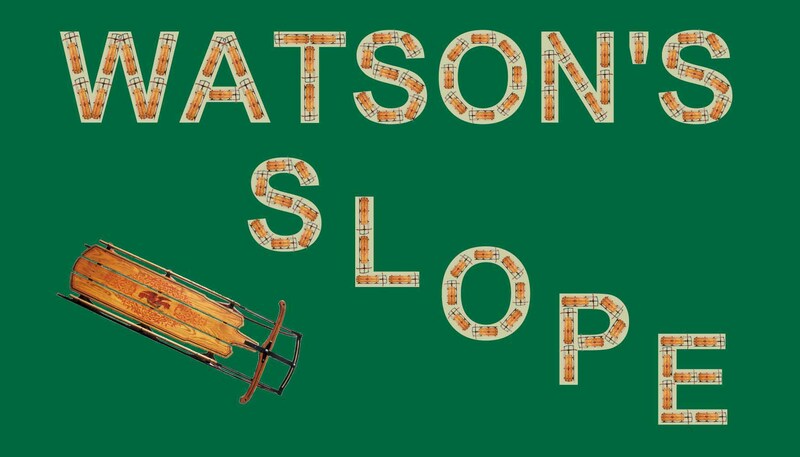 This sled was a gift to me from my Uncle. LG 56 (1970's) - Original condition. A great example of a later model Lightning Guider.